If you're interested in learning more about edu 2.0 and the future of education, check out my upcoming interview on the "Shawn McCastle Show" at October 8, 2008 at 4 pm PST, 6 pm CST. Listeners may call and join in on our discussion at (347) 215-9823. This is really Carl Sagan's voice. Amazing. One of our enthusiastic users, Joel Yuvienco, was recently interviewed on QTV about edu2.0. QTV is a national TV channel in the Philippines. Needless to say, I was very proud to hear him present! Here's a rap song that does an amazing job of describing what the Large Hadron collider is for. My EDU 2.0 education site has just passed the 13,000 member mark, and it's especially satisfying to see some of our happy users evangelize the site. For example, this video is Angel Turrado Barrio presenting EDU 2.0 at the Congresso Nacional Internet en el Aula in Spain. If you haven't visited the site recently, I encourage you to check it out. As you can see from the latest news update, we've been very busy! I just accepted an invitation to be the theme-chair for education at the IT Revolutions conference this year. 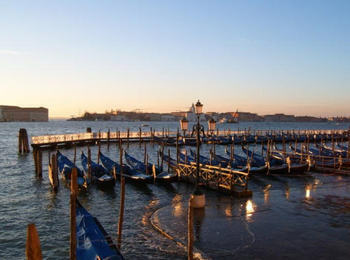 It's going to be held in Venice, Italy on Dec 17-19, so it will be a little cool but without the crowds. From school to the virtual classroom, eLearning is fueling one of the most radical revolutions in education, replacing the traditional teacher-driven supervised learning environment by the self-directed web-based individualized content. By 2020 almost all the knowledge will be available on-line. Several issues arise, which need to be addressed if we want to unleash the power of eLearning: Is school as a physical place important or, shall we regard learning as a universal right, thus make all the content available online to enable access to everyone from everywhere - with self-imposed limits dictated strictly by individual interest? What can governments do to sponsor such efforts? In the article "How do we Transform our schools? ", Clayton M. Christensen and Michael B. Horn look at how computers are currently being used in the education system and how they could be used in the future. The bottom line: computers are currently being used to support the current teacher-in-classroom model of learning whereas in the future they will likely be able to deliver personalized instruction directly. I agree with this completely, and it's the focus of my new "Pirate Math" initiative on edu2.0. In a previous post I mentioned that I'm working on a new way to learn Math based on a Pirate Game. The plot of the game is beginning to form. The player (a boy for the purposes of this post) finds a piece of a treasure map while hunting around in their attic. A closer inspection reveals that the treasure is buried on an island someone in the Caribbean. The boy excitedly tells his parents but they laugh and ignore him. Frustrated, the boy decides to stowaway on a liner and try to find the island on his own. But after a few days at sea, the liner is attacked and boarded by some pirates. 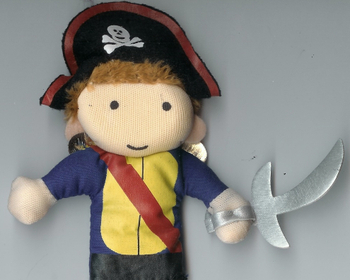 The pirates capture the boy and decide to use him as a cabin boy on their pirate ship. The boy keeps the treasure map a secret and hopes that his travels with the pirates will allow him to solve the mystery. The plot is just in the early stages and I'd like the boy to stumble upon a greater mystery while looking for the treasure. Of course, the whole point of the game is to allow players to learn Math in a fun and natural setting, so the first part of the Game will introduce money, counting, addition and subtraction. The boy earns copper coins for the work he does on the ship, and he can see the number of coins increase as the days go by on the ship (addition). When the ship docks at the first port, the boy goes to the market to buy some pirate clothes. Each item costs a certain number of copper coins, and the player can see the number of coins drop as he buys each item (subtraction). Rather than require the player to perform arithmetic drills, I hope to introduce natural uses of arithmetic throughout the game at various intervals. This should reduce the boredom factor as well as allowing the complexity to be gradually increased. More on the Pirate Math game soon. I wrote the post Education Vouchers Work about how private schools are becoming very popular and successful in Sweden. So I was very interested to read this recent article in The Economist which provides more information about how the private schools actually go about teaching. Anyone who meets basic standards can open a school and educate students at the state's expense. The state pays private schools the same amount per student as it pays public schools. Private schools must accept students on a first-come, first-served basis and cannot have any religious requirements or entrance exams. The entire syllabus and all materials are on their web portal. Each child spends 15 minutes a week with a tutor reviewing their progress and setting goals. Learning takes place in a mix of lectures, classes, independent and group study. Each student can work at his/her own level and spend time on subjects based on their interest. Each subject is divided into 35 steps; 25 steps earns a pass, 30 steps earns a merit, and 35 steps earns a distinction. Teachers get 7 weeks of vacation a year, and are expected to create lesson plans, etc. outside of the school semester in order to spend more face time with students. The school rents fields for sports and facilities for arts and crafts. About 10% of Swedish children now go to a private school, up from a fraction of a percent 14 years ago. It's clearly working. I wish this kind of innovation was taking place in more countries.